It seems that Alfie has acquired many nicknames in his tiny life, but my ‘bumble bee’ seems to fit him the best – he is always busy, very ‘pretty’, and can get truly as angry as a bee! Three years have gone by fast – it only seems like yesterday we were expecting him – and yet we already have another baby! 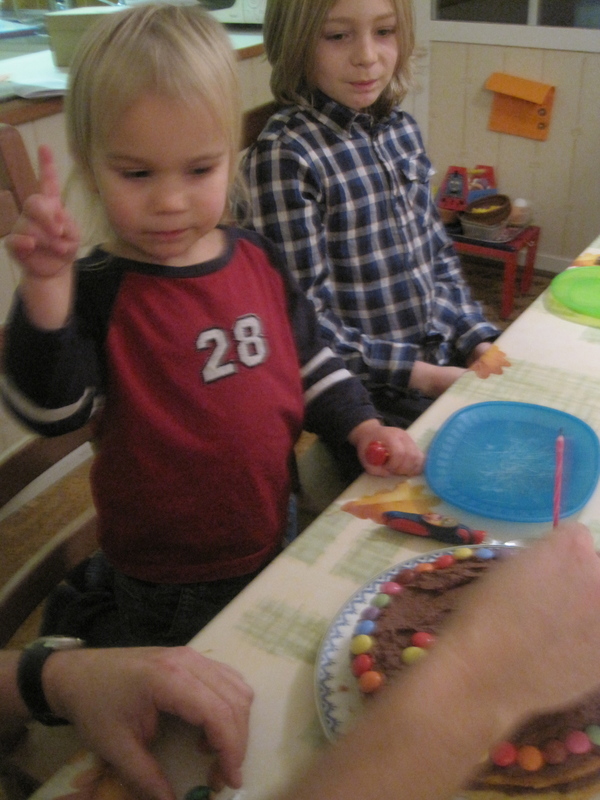 Unfortunately, having been unwell in the last week, Alfie was still ‘under the weather’, and the day was not his happiest day… but here he is (slightly out of focus) letting the family know that the first piece of cake is most definitely HIS! 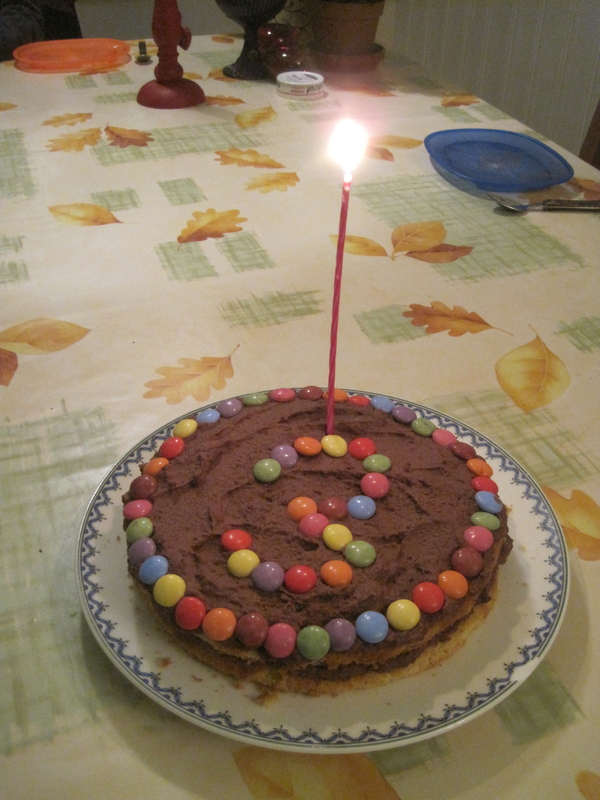 And although his piece of cake did not get eaten (no, not even the Smarties! 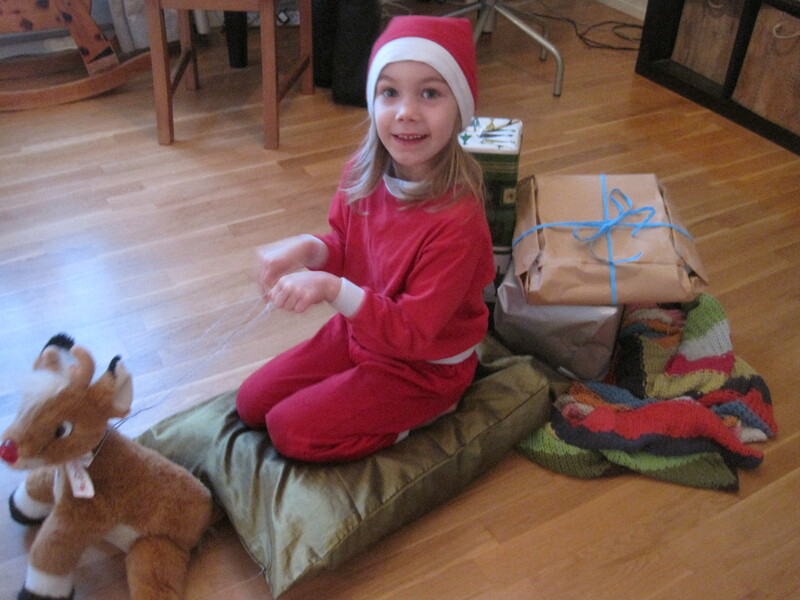 ), the rest of the family enjoyed the cake, and he did receive some wonderful presents….. delivered by sleigh…..! Åh lilla stora Alfie! Fin beskrivning av honom. Hoppas vi alla är friska snart så vi kan ses! Kram till Bumble bee, som fö är ett av mina favorit ord på engelska- så härligt att säga det, helamunnen fylls ut!